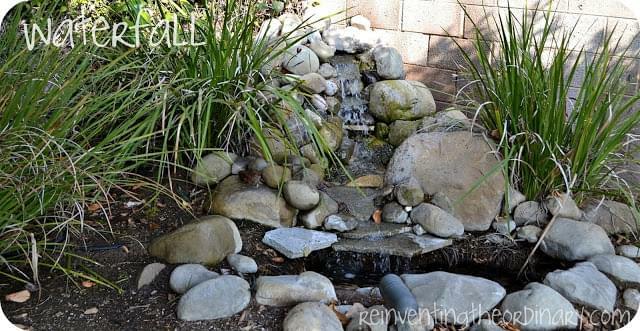 From Family Handyman, this backyard waterfall project can be done in less than one day. It’s rated as simple, and is small enough to be installed without having to excavate half the backyard! 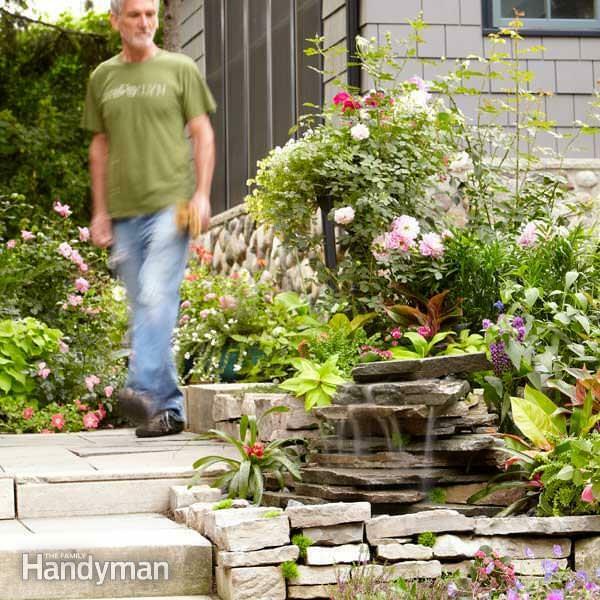 Pretty and functional, and it could even be used by a front walk. Good instructions. 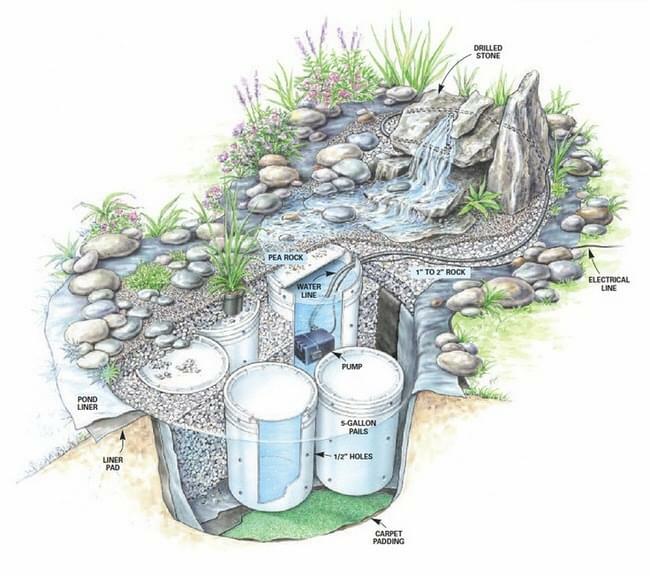 There are several options on Family Handyman, and really useful information like this waterfall fountain graphic from their low maintenance water feature project to help you understand the dynamics of the pumps and water lines. 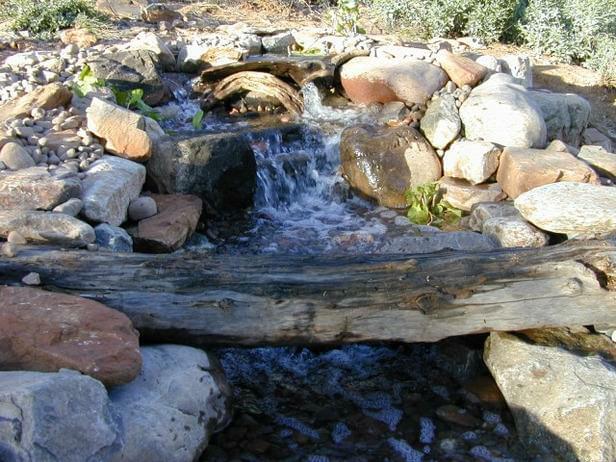 And if you would like to go all out and build their backyard waterfall and stream, they have so many photos walking you through the steps! 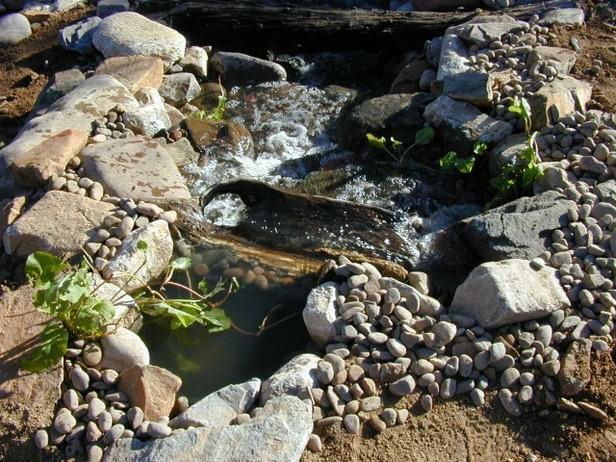 Reinventing the Ordinary’ did a great job with their DIY waterfall project, and their instructions are simple and if you don’t have the mechanics of how pumps and water lines work for such a project, check out a few of the other tutorials first. Then this will make perfect sense. Ehow has a good basic tutorial. Love this! 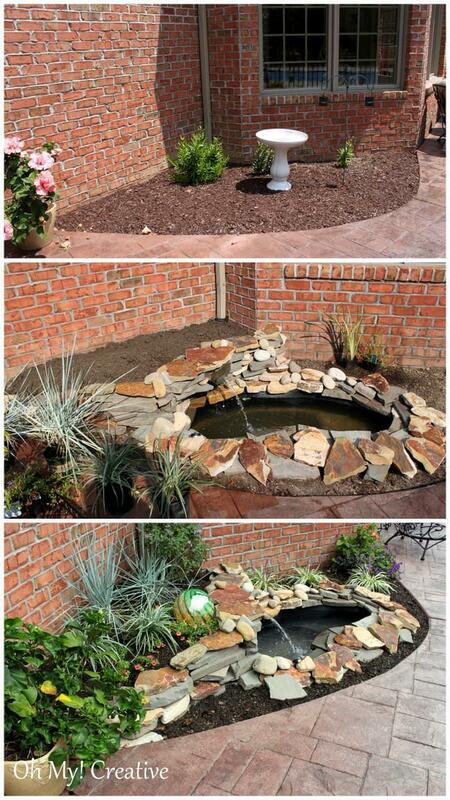 Susan at Oh My Creative has a great tutorial for you for this DIY waterfall and pond. She supplies you with good instructions, and step by step photos… Great job Susan! 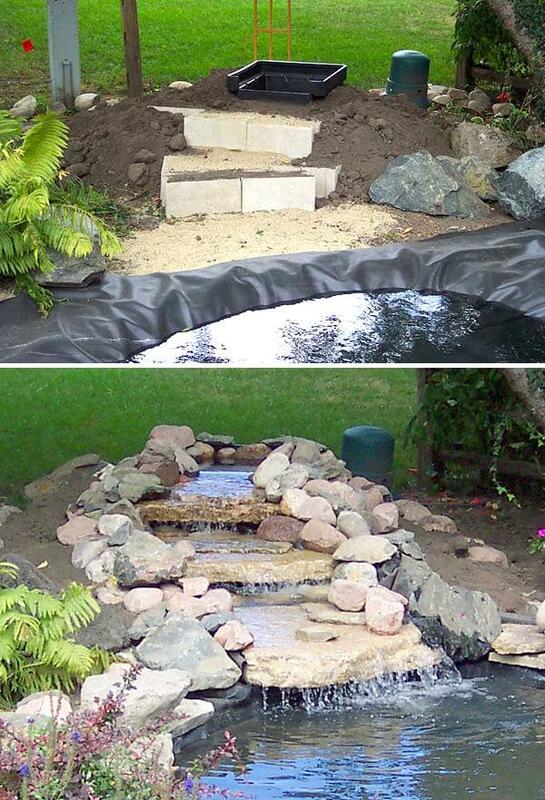 Good step by step instructions over at Passion For Ponds, for this nice DIY waterfall project. 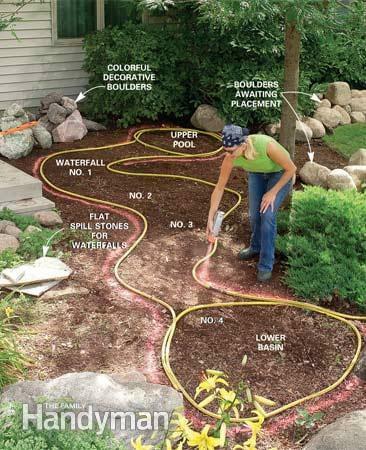 Lastly, DIY Network has a great tutorial on a DIY waterfall, with photos and instructions.